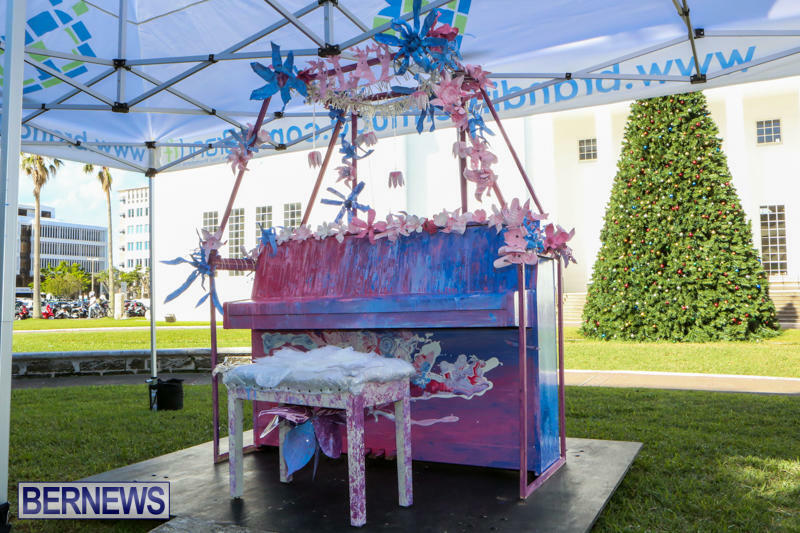 The Bermuda Society of Arts [BSoA], in partnership with Pianos Plus, CellOne and the Corporation of Hamilton officially unveiled the Public Piano Project on Friday [Dec 12]. The BSoA Public Piano Project is an adaptation of a project called “Play me I’m Yours” started in 2008 by Luke Jerram. More than 1,300 pianos have been decorated and placed around the world reaching over six million people. 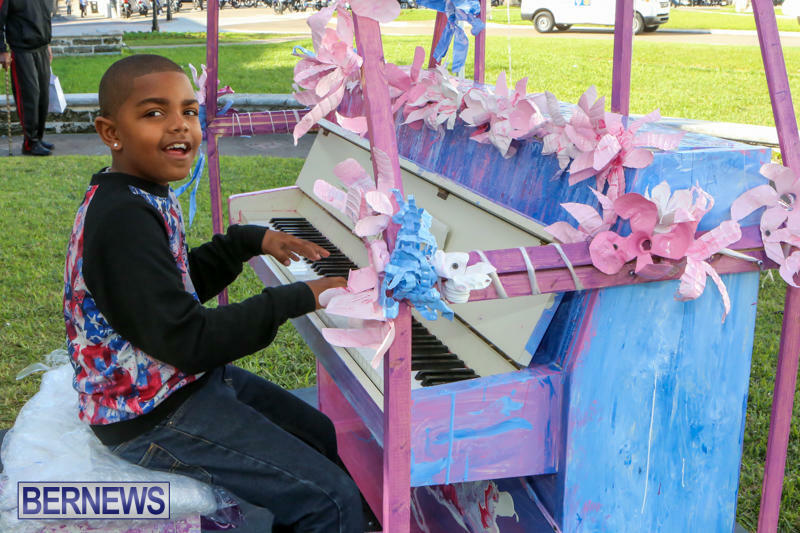 Alicia Wanklyn, whose entry was selected as the winning design, decorated the piano with an exciting concept that is now featured on Nelly’s Walk outside of City Hall. 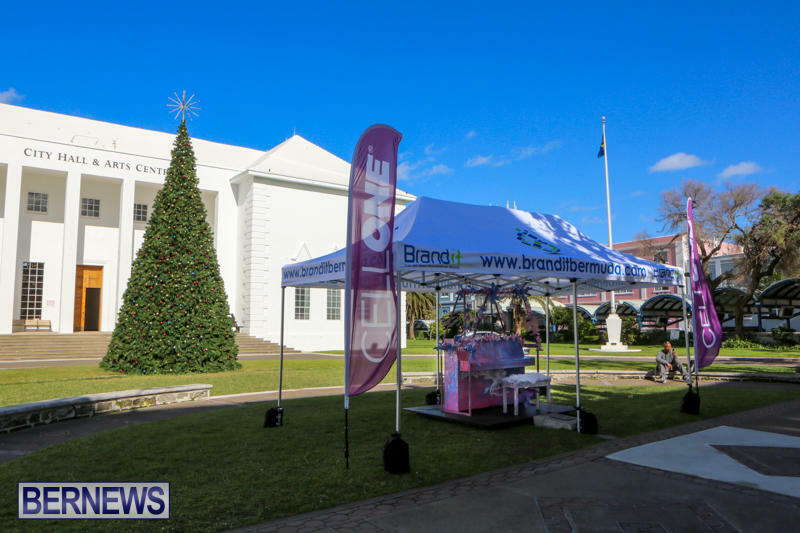 The piano will be stationed under a tent and available for members of the public to listen to or use at their leisure outside City Hall until January 16th 2015.